I’ve attempted to write fiction (never published until now) for about 20 years. I certainly followed that oft-repeated advice to writers: “Never give up.” I attended writing workshops and read books on “How to Write,” but nothing clicked, until a kindly literary agent I met at a writing conference seemed to sense promise in my work and connected me with a developmental editor, who took me to school, as the expression goes. After working with her on a manuscript (which is now my novel “Fractured Eden”), I felt like I earned another graduate degree. Along with her expert tutelage, she recommended four books on fiction writing that she felt would best benefit my writing style and my chosen genres of suspense and mystery. That was one of the many obstacles to me over the years: which books to read? After all, if you search the internet for “how to write fiction,” you’ll get millions of hits. I wasn’t finding the right instructional books for my needs, but now I'm fairly certain that I’m on the right track. The four books my editor recommended: “Plot & Structure” by James Scott Bell, “Writing the Breakout Novel” by Donald Maass, “Story Engineering” by Larry Brooks, and “The Writer’s Journey” by Christopher Vogler. 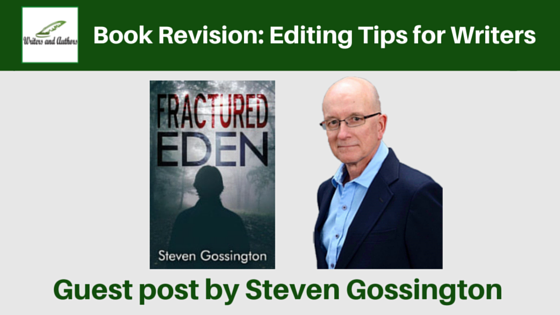 I’ll mention a few writing tips from my editor and from the above books that made an impression on me. (Seasoned writers will probably be familiar with this information). These points were among the most important for my book’s revision. 1. A major problem with my lead character was highlighted by this question: “If he’s in so much danger, why doesn’t he just hightail it out of there?” I thought I had that issue covered, but I didn’t. I had to delve more deeply into the nature of his conflicts and his relationships with other characters, and that seemed to work. He has to stay because his leaving would place his girlfriend in danger. He has to stay because his self-respect would be mortally wounded if he continued to try to flee from his challenges rather than face them head-on. 2. The original opening to the novel was too wimpy; I needed a few slam-bang opening pages. I think the prologue accomplished that - it introduced the lead character and placed him immediately in a world of distress. 3. To make each scene more effective, I shortened opening lines and tried to make scene openings and closings more tense and provocative to the reader. 4. As I had learned from my writing research, the theme of the novel seemed to emerge from the lead character’s conflicts. He wrestled with the issue of courage throughout the story. What is courage, ‘do I have it,' and how does a person tap into it when it’s needed? While fleshing out my lead's final battle, I realized that courage had become an important theme of the story. 5. My main villain was too one-dimensional, so I created a back story for him that explained the origin of his mental pathology and why he acts the way he does. 6. My editor recommended that I develop the setting more fully. As a result, I like to think that the setting (The Big Thicket) became more alive and vibrant and even became an active participant in the story. So far, the self-publishing process has been challenging and fun, especially when my first few reviews on Goodreads were positive. I’m sure most authors experience that nagging uncertainty about whether or not their creation is worthy; I certainly was worried. So, the reviews of my novel on Amazon and Goodreads (mostly positive) affirmed that my efforts, after all, might be worthwhile over time and that my writing might entertain at least a few readers. That’s satisfying indeed, akin to the “runner’s high,” as I’m sure that pleasant warmth - no, sheer elation - I feel when reading a positive review is due to those euphoria-inducing endorphin molecules just released from a few billion neurons in my brain. With help from the book “Revision and Self-Editing for Publication” by James Scott Bell, I’m currently revising a mystery novel that I’ve been working on for about 10 years. Of course, I’m applying what I learned during the writing and revision process that led to my current published novel. I work on writing projects almost every day, usually early in the morning before work, as my mind clicks on all cylinders in the dawn hours. Good luck to all writers out there! 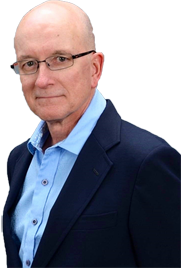 Steven Gossington is an emergency room physician with over 30 years of patient care experience. For 11 years, he was an academic professor in emergency medicine at the University of Oklahoma Health Sciences Center in Oklahoma City, and he published 20 book chapters and medical articles of original research. 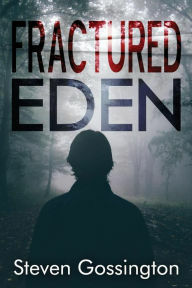 His enjoyment of mystery and suspense fiction and his love of writing led to his first novel Fractured Eden, a psychological suspense story in which he draws upon his extensive experience with mentally ill emergency room patients. Hey - I really enjoyed this guest post! I read this book and really liked it. It actually answered a lot of my questions. And, I could really visualize The Big Thicket - so good job there!